Tonje Bøe Birkeland, The Characters, 2017, artist's book. Performance: The Witching Hour: A Concert by Zorka Wollny and Ami Yamasaki. 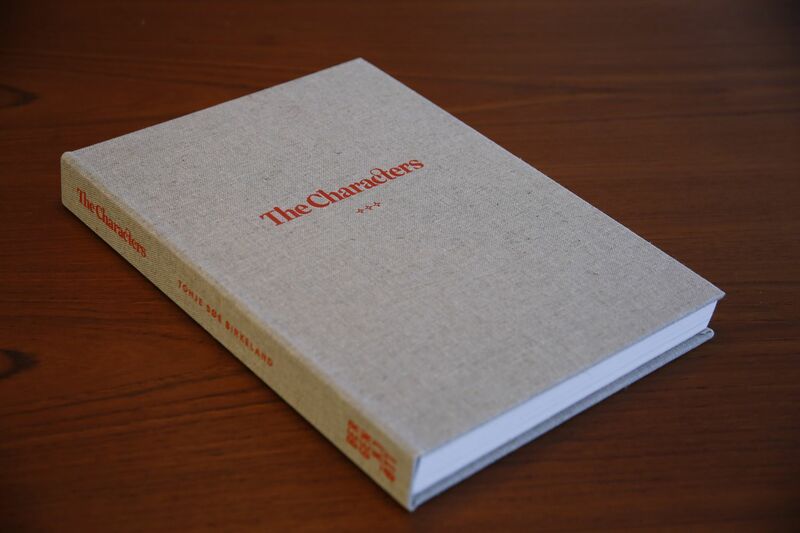 The book The Characters # I-IV is a retrospective book by ISCP alumna Tonje Bøe Birkeland, that holds together her projects from the past eight years. Birkeland’s work explores the authenticity of history through self-portraits that recreate expeditions of female explorers and heroines from the past. Each of The Characters makes its own meta-journey: through Greenland, Mongolia, the mountains of Norway and Switzerland, and to Bhutan. These photographs expound time and place, while investigating personality and physical limits. Birkeland demonstrates that fantasy and photography can fill a void in history, while revealing some of contemporary society’s challenges: globalized colonization on the one hand and the loss of the great adventure on the other. The book is printed in 300 copies, each numbered by hand. The book launch will also include the publication Staging, edited by Rosario Güiraldes. Co-published by Center for Curatorial Studies at Bard College and ISCP, 2017, the book includes work by eight artists and seven curators. Staging documents and expands upon the first of ISCP and CCS Bard’s collaborations begun in Fall 2015. The evening will end with The Witching Hour, a short music event by current ISCP resident Zorka Wollny who has invited vocalist and media artist Ami Yamasaki to collaborate on a two-part concert. Purely vocal composition, the poetic performance of Yamasaki will define the beginning and the end of the mysterious moment known as the witching hour. She will create the framework for Wollny’s concert, who together with a small group of performers, will present a world of alienated noises, cracks, hums and whispers. This program is supported, in part, by The Adam Mickiewicz Institute, Director’s Circle, New York City Council District 34, New York City Department of Cultural Affairs, in partnership with the City Council, and New York State Council on the Arts with the support of Governor Andrew M. Cuomo and the New York State Legislature. For more information, please visit ISCP's website.